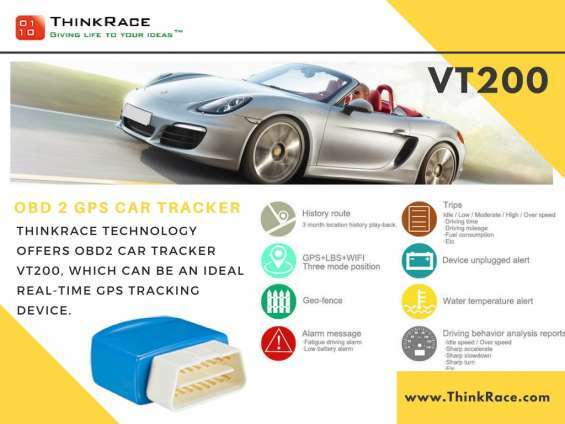 ThinkRace Technology brings you the OBD2 Vehicle Tracker VT200. An ideal OBD Car Tracking device for your car. It is a simple plug & play device which can be easily attached to your car’s OBD Port. The device allows you to track your car from anywhere in the world.